﻿Bruce Goodman's "How right she was"
Maxine was right-handed, but for some inexplicable reason, when eating an ice cream in a cone, she always held it in her left hand. An ice cream was the only thing she used her left hand for and she had no idea why. Suddenly! One day! Out of the blue! While eating an ice cream in the park! Maxine was approached by a man with a microphone. The local television station was doing some sort of promotion and the man had been sent to grab the first left-handed person he saw, give them five hundred dollars, and ask them to be part of a left-handers’ television competition. Five hundred dollars! Maxine couldn’t resist! The first thing she had to do – there were two other left-handed competitors – was to have a game of darts. 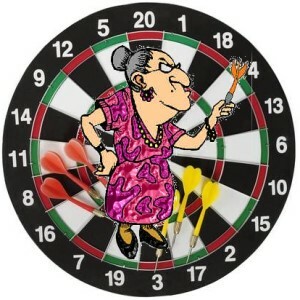 Maxine had never played darts in her life. She threw the darts at the board indiscriminately with her left hand. She won! The other two were useless! The next thing they had to do was to thread a needle. Maxine couldn’t see the needle eye, let alone use her wrong hand to poke the cotton through. But! She did it! She won! She won! The other two contestants broke down in tears. They admitted ashamedly that they were really right-handers in for the money. Maxine was horrified. How dare they! How dare they! Deceit, she declared to the television camera, is rampant in the world today. How right she was – in more ways than one.